In the gaming news, there have been a few subjects you haven’t been able to escape from for the past year or so. Virtual Reality is one of those subjects, with the Oculus Rift, HTC Vive and of course Playstation VR being the most notorious contenders. 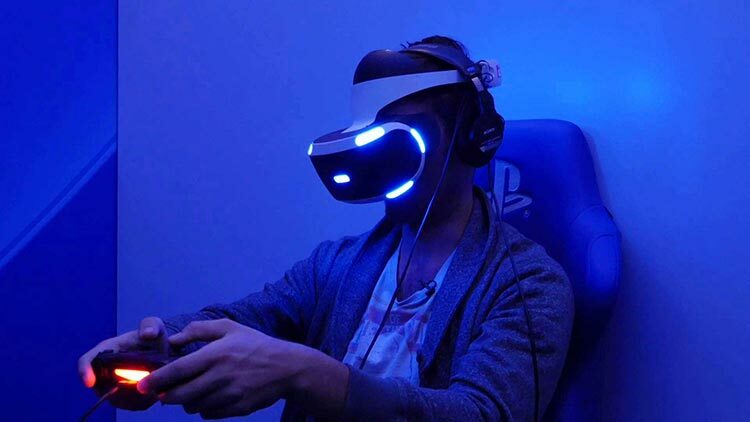 But perhaps we’re all getting ahead of ourselves, at least according to former Playstation VR veteran Dr David Ranyard. During a recently interview Ranyard believes the excitement around Virtual Reality is ‘Slightly over-heated’. Dr David Ranyard is a former Sony employee, previously working at Sony’s London studio with a plethora of VR projects under his belt. “It feels, in all honestly, slightly over-heated,” he told the interviewers over at MCV. That isn’t to say Ranyard believes Virtual Reality to be a failure, instead in his view it will simply take awhile to really take off. But as software, hardware and prices improve things will get better. Like AMD (who’ve recently talked about the ‘Immersive Era’) and many others in the industry, Ranyard doesn’t necessarily believe Virtual Realities applications will be limited to purely games. Instead, as VR development tools become better, it’s likely we’ll see feature films, live music acts and of course educational uses for the hardware. This article was filed under Articles, Features, Hardware, PC Gaming News, Playstation News, Tech News. Tagged with gaming, Playstation, playstation 4, psvr, sony, virtual reality, vr.